Estimate the soil needed for a landscape bed by measuring the length, width, and depth (English or metric units) of the space you want to fill. Enter your values below to find the volume of topsoil or fill dirt needed. Read below for more details. Estimating Soil Volumes – How Much Do I Need? When you are creating or refreshing a garden or other landscape feature, often you want to add new topsoil to the area. And, in the case of new raised beds, you might need enough new soil to fill your new box completely. New soil gives your plants the nutrients, air circulation, and water drainage that they require to thrive. To achieve that balance, it’s a good idea to mix soil, compost, and potting blends for the best plant growth. Generally, a good proportion is 60% topsoil, 30% compost, and 10% potting mix. 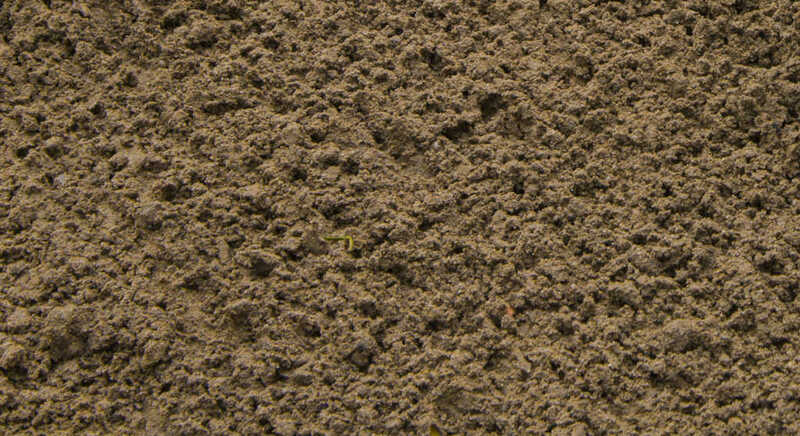 You may also need fill dirt for landscaping projects and hardscapes, which is used to fill in large volumes. Adding soil can be a substantial investment in time and money. To minimize work and expense, follow these instructions for getting the right amount of soils that you need. 1. Using a tape measure, measure the length and width of the area(s) you want to fill. It’s best to write these numbers down. 2. If the space is complex, break the area into smaller, regularly shaped sections, like in the diagram below. Then measure each section separately. Diagram 1. Break your garden into sections to measure. 3. Decide on the depth of the new soil that you want. For refreshing gardens, usually, 3-6 inches (76-152 mm) of new soil is sufficient. If you have a hard border or a raised bed, measure the depth of the partition. Remember that soil will settle, so be a little generous with this measurement. 4. By far, the easiest way to calculate quantities is to use the soil calculator above! Enter your measurements, hit calculate, and it’s all worked out for you: cubic feet, yards, even the number of bags. And metric too. Sometimes topsoil and compost are sold by weight, which varies depending on what the material is. In the US, a 40-pound bag measures between 0.5 and 0.75 cubic feet. The Soil Calculator bag estimator is based on 0.75 cubic feet per bag. 1. Make sure all measurements are in the same units (usually feet or meters). 2. Then multiply them all together (length × width × depth). 3. Add together the separate volumes, if you divided your space into sections. 4. The result is the volume of soil required for your project. You will need to figure the number of bags depending on what size you buy. No matter how you get your total, if you need a lot, consider buying in bulk by the cubic yard (or cubic meter). The calculator above provides this volume for you. For you hand calculators, divide your total cubic feet by 27 (3×3×3) to get cubic yards. Be sure to check your calculations and confirm your measurements using a cubic yards calculator. Give this number to your supplier, who will usually deliver the soil to your location for a small fee. Soon your plants will be enjoying their new environment, and you will be enjoying your happy plants! Check out our mulch calculator to estimate mulch for your garden bed or see our gravel calculator to estimate stone, gravel, and other landscaping materials.